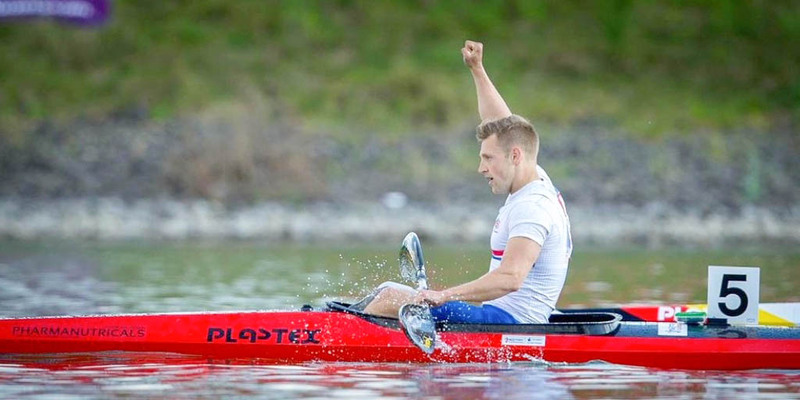 Following his amputation in 2008, Robert Oliver discovered kayaking during his rehabilitation and hasn’t looked back since. After fracturing his leg during a football match and developing Compartment Syndrome, Rob endured 17 operations to try to repair the damage to his leg. The operations were unsuccessful and Rob’s right leg was amputated below the knee. After an assessment at the Blatchford Clinic, Rob decided to try an EchelonVT foot for his training sessions. “The EchelonVT foot allows me to get more out of my strength training by keeping me in better alignment, especially on deadlifts. The smooth, natural movement feels great and much more like a human foot than anything else I’ve tried before” said Rob. Since then, Rob became the European 200m Sprint Champion in 2015 and won a silver medal at the World Championships later that year.